Shari Kosel, Co-founder and Chair of (SDFACT) South Dakotans Fighting Animal Cruelty Together, has started a petition to prevent the opening of Fur-Ever Wild in South Dakota. The South Dakota Animal Industry Board will be conducting a hearing in Pierre, SD tomorrow, May 20, 2015, to listen to objections to the planned Deadwood attraction. Anyone with concerns about Fur-Ever Wild and the expansion plan please attend the meeting tomorrow at 10:00AM CDT, at the Best Western Ramkota Hotel – Gallery D, located at 920 West Sioux Avenue, Pierre, South Dakota. More info here. Wolves are becoming an endangered species. STOP KILLING/CULLING/ABUSING THEM!!!! I am so sick and tired of people slaughtering These animals to the point of extinction, s to the point of extinction, and still be able to put there head under Pillow at night and sleep like a baby. While these animals are literally running for their lives and in some cases like this one have no choice but to live on the k and sleep like a baby. While these animals are literally running for their lives and in some cases like this one have no choice but to live on the farm knowing they are going to die. Then have the gull to want to open a zoo. Myself along with thousands of other people fight every day to secure wolves future wife this woman is killing them for fur, people ca myself along with thousands of other people fight every day to secure wolves future wife this woman is killing them for fur. Someone please explain this to me like I’m five years old! 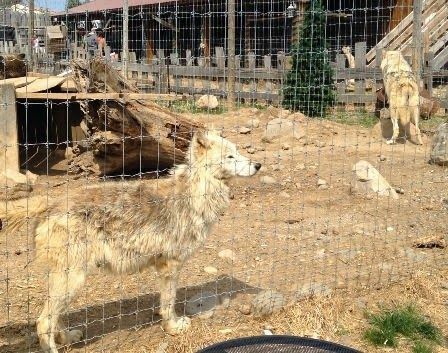 We must stop all these lucrative activities at the expense of animals, wolves in this case !!! There are a lot of abuse, pain in fur farms ! Stop that PLEASE !